similar elements in most jurisdictions, making it relatively simple to show you how to write an affidavit. We've also created a variety of the most often used affidavit samples which you can use as templates to create your own documents. Anyone can make an affidavit, provided such a person is mentally competent to do so, has knowledge or information about the facts presented and has the authority to do so (such as a parent or guardian making an affidavit on behalf of a minor). Furthermore as there is no age restriction, even a child can make an affidavit IF the child is old enough to understand the facts contained therein and the significance of the oath. There are many instances or purposes for which you may be required to submit an affidavit but by definition it is a voluntary act and you cannot be forced to do so. Review the legal guidelines further down on this page and use our step by step guidelines to assist you with creating your own or editing our sample affidavit forms. General Affidavit of Loss - Used to certify that an important document was lost and request a replacement. Affidavit of Domicile - To attest to the last legal residence of a deceased person. Affidavit of Residence - To certify residency as may be required by a local school, when opening accounts etc. His/her information and belief e.g. "I was told by Mr. John Doe in his capacity as chairman that the documents were destroyed..."
Statements based on personal knowledge generally carry more weight than those based on information and belief. An affidavit can consist of a single paragraph (single fact) or any number (unlimited) of paragraphs provided each paragraph contains a fact relevant to the situation. 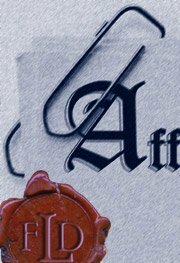 In order to be legally valid, an affidavit must be signed and sworn to in the presence of a person authorized by law to administer oaths and to witness the swearing of affidavits such as a Notary Public, Commissioner of Oaths, Justice of the Peace, County Clerk, lawyer etc. If you cannot or do not want to do it under oath (e.g. taking an oath is against a person's religious or other principles) you still have to sign your affidavit in front of an authorized person. The only difference being that the wording of the attestation will change e.g. "Declaration under penalty of perjury", rather than "Thus signed and sworn before me".